One night we headed out to Baltimore to visit our good friends Brianna and Bryan- Bri and I bartended together at the Greene Turtle for years and Bryan is her longtime boyfriend. They recently bought a house just outside of downtown, so we had to check it out and hit up the bars in Fells Point. The evening did not disappoint! We stopped at a bar called Bad Decisions first- obviously the best place to start out our night. Bri had wanted to check this place out for awhile; they are know for their dive bar scene and creative cocktails all listed in a giant hand-written notebook. 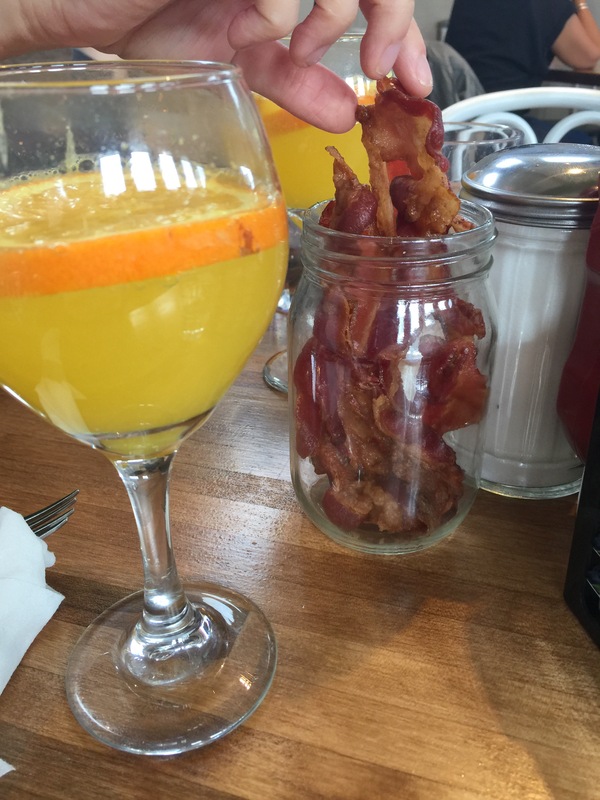 The menu consisted of items that almost all included bacon, and apparently they have a “bacon night” once a month where everything served includes bacon and you get baskets of bacon set up around the bar as snacks, sort of like you would see peanuts or pretzels. 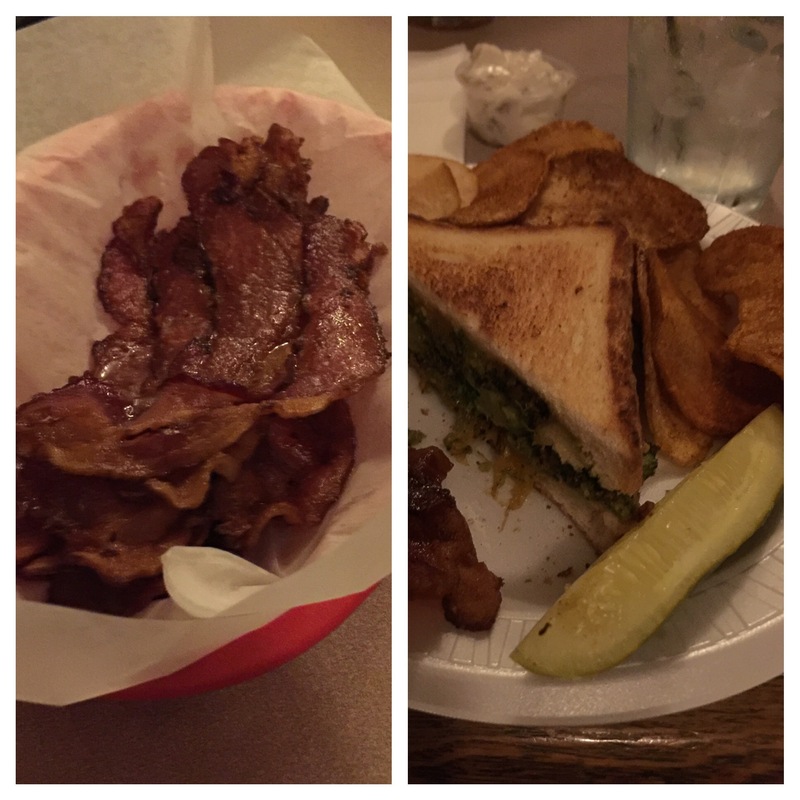 Bri ordered a pickletini while I had my requisite Moscow Mule, and we both ordered the broccoli cheddar grilled cheese (which came with Old Bay chips) and a basket of bacon on the side. The broccoli made it a healthy choice, I swear!! The food was delicious and we left feeling nice and full. We made our way down Broadway til we came to Sláinte, an Irish pub. Before heading in, Bri declared “we’re doing one drink at every bar! First one, let’s go!” It sounded like a lofty goal at the time but luckily we didn’t end up creating our own bar crawl. We stopped in for a glass of wine on my part and beers for Bri, Bryan and Julio, black & tans obviously. The bartender recommended a great dive bar around the corner called Wharf Rat, so that was our next stop. We were trying to avoid the crowds and just find a place where we could chat and hang out. 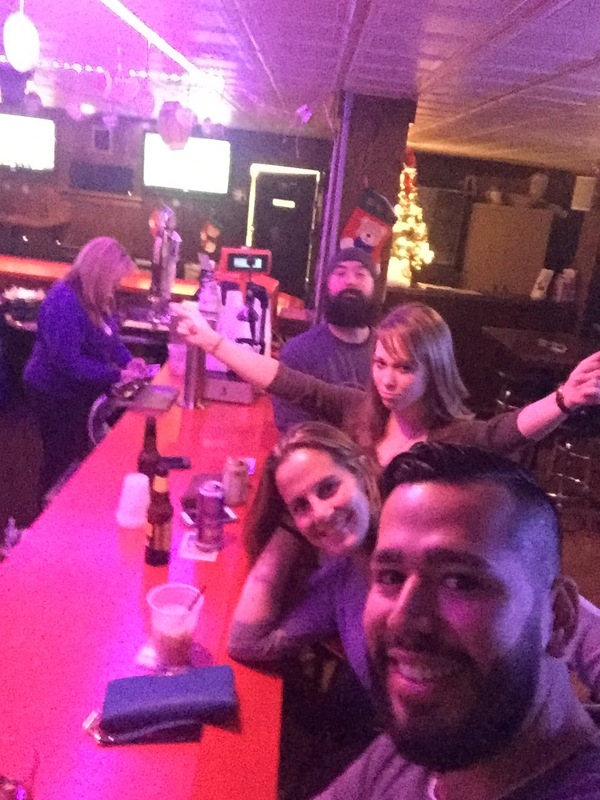 After a few games of pool and a shot or two, we called for an Uber back towards Bri and Bryan’s house to the North Point Inn for a nightcap. 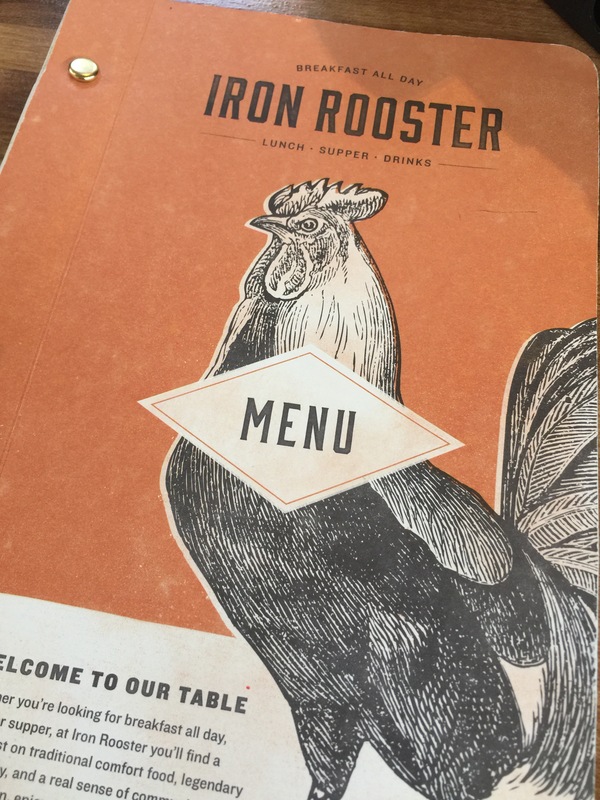 The next morning, nursing mild hangovers, we headed to the Iron Rooster for brunch and mimosas, where, if you check in on social media, you get a free mason jar of bacon!! That sold me right there. They also make their own homemade Pop Tarts, and even though the flavors of the day sounded amazing, I attempted to make a semi-healthy choice. Next time! 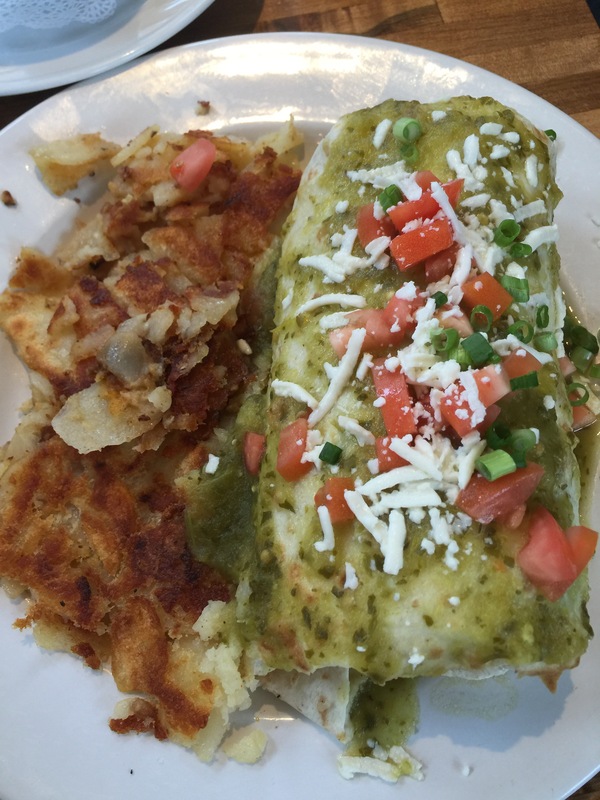 I had a delicious California club omelette, Bri had shrimp and grits and Julio had a huge breakfast burrito. Leftovers in hand, we headed back to Frederick after a very successful night of hanging out with some great friends!